Episode 5: #MeToo rocks Canadian politics, Kara Levis and the PST, goodbye Brad Wall, and more. A look at how allegations of sexual misconduct have rocked Canadian politics, Alberta Party leadership candidate Kara Levis‘ sales tax idea, how a change in leadership could change Alberta-Saskatchewan relations, what’s weird with the 2017 fundraising returns (Dave goes deep into the weeds), and some hot gossip from Alberta politics are just some of the topics covered in the latest episode of The Daveberta Podcast with Dave Cournoyer and Ryan Hastman (recorded in the Harry Strom Memorial Studios on Saturday, Jan 27, 2018). And we introduce a new regular segment – So you want to be a candidate – where Ryan and Dave share some helpful tips and advice for aspiring politicians looking to run for public office in 2019. 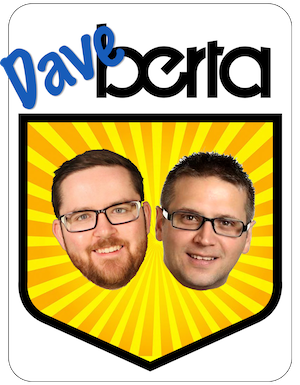 This entry was posted in Alberta Politics, Daveberta Podcast and tagged #MeToo, Adam Rozenhart, Alberta Party Leadership Race 2018, Alberta Podcast, Alberta Politics Podcast, Alberta Provincial Sales Tax, Brad Wall, Dave Cournoyer, Daveberta Podcast, Jim Baillie, Kara Levis, Kent Hehr, Patrick Brown, Ryan Hastman on January 29, 2018 by Dave Cournoyer. The recent news that Premier Brad Wall’s Saskatchewan Party is flush with cash from Calgary-based corporations is both noteworthy and concerning. Due to that province’s lax political finance laws, the Saskatchewan Party is reported to have received at least $2 million in donations from Alberta-based energy companies since 2006. This is notable considering the Premier’s fierce opposition to the federal government’s plans to fight climate change and his frequent criticisms of Premier Rachel Notley’s NDP government (a government that has banned corporate donations to political parties). Mr. Wall is not the first Saskatchewan politician to get his financial backing from Calgary. 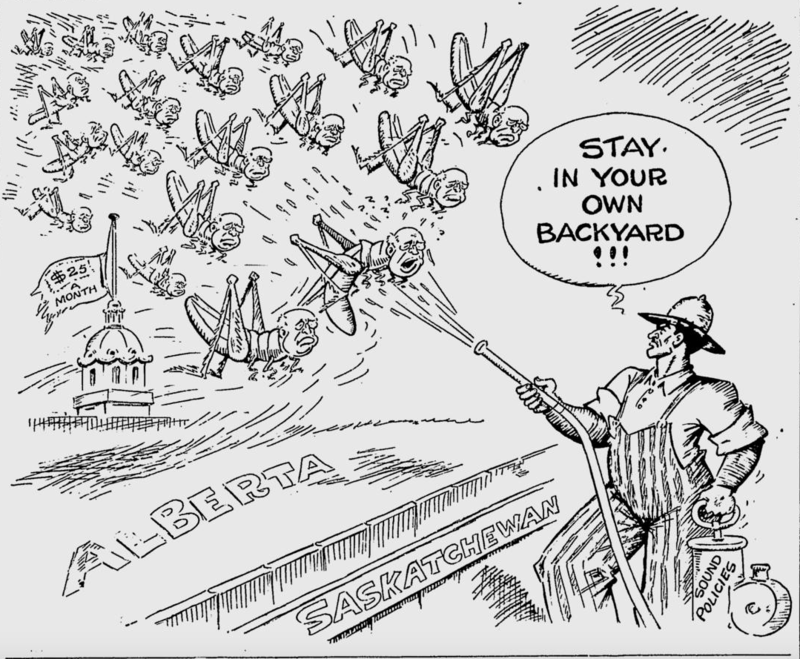 There was a time when the people of Saskatchewan faced another, more literal, political invasion from Alberta. 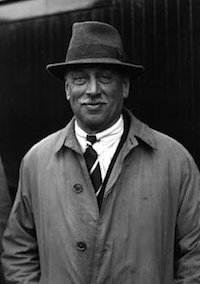 Seventy-eight years ago, Alberta Premier William Aberhart staged an invasion of Saskatchewan politics. Mr. Aberhart’s Social Credit Party had swept the 1935 Alberta election, going from zero to 56 seats and forming a majority government during the height of the Great Depression. Upon learning of the election victory, the Social Credit Greenshirts in London were reported to have marched around the Bank of England Building holding torches and blowing their trumpets (no doubt inspired by the Battle of Jericho). During its first decade in government, Mr. Aberhart’s radical administration tried to print its own currency, legislate control over the media, nationalize the banking system and ban alcohol sales. Eager to spread the gospel of Major C.H. 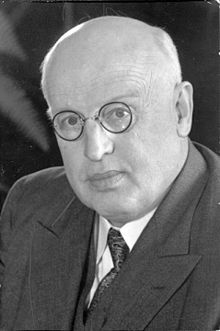 Douglas and Social Credit theory, Mr. Aberhart’s party propped up a Socred Party in Saskatchewan to contest the June 8, 1938 provincial election. The Alberta Premier viewed Saskatchewan as a beachhead for his party’s expansion across Canada and, eventually, to Ottawa. 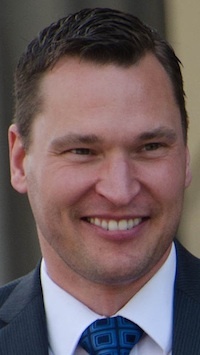 While The Battlefords Member of Parliament Joseph Needham was party leader by default, the Saskatchewan Social Credit Party organization in that election was manufactured by Albertans. 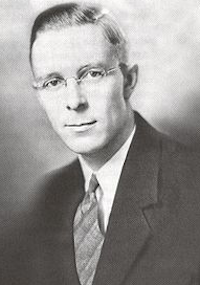 It was run by Alberta MLA and Provincial Secretary Ernest Manning, who would succeed Mr. Aberhart as Premier in 1943 and serve until his retirement 1968. Nearly all of Alberta’s Social Credit MLAs and cabinet ministers hit the hustings in Saskatchewan, spending weeks campaigning for local candidates. 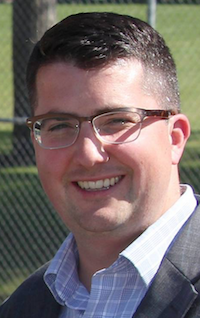 Mr. Aberhart spent two weeks on the campaign trail, speaking to rallies across Saskatchewan along with a band of experts in Social Credit theory. “The outlook in Saskatchewan is very encouraging,” Mr. Aberhart was reported to have said upon a brief return to Alberta in May 1938. “It would appear from the definite interest manifested by the people who gathered in such large numbers that they realize a change is absolutely necessary,” Mr. Aberhart said. 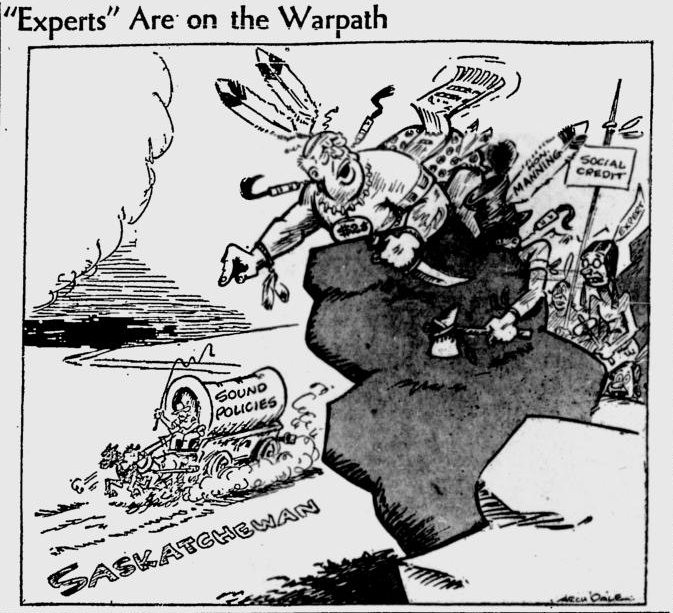 The “troupe from Alberta invading Saskatchewan,” as one Saskatchewan newspaper described them, did not go unnoticed and faced fierce opposition from local political establishment and opponents on both sides of the provincial border. A political cartoon in The Leader-Post in May 1938. 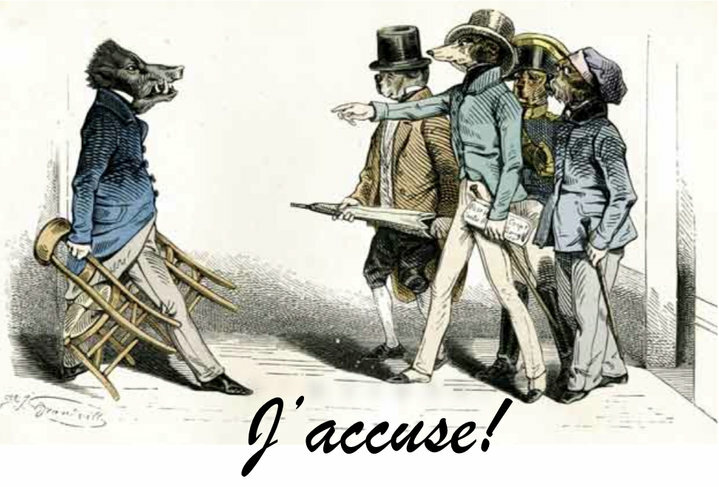 The intentions of Social Credit candidates on the ballot were called into question by The Leader-Post, whose editors asked in a June 6 editorial who they would be loyal to if elected. “Will their loyalty be given to the Alberta Premier or to the people of Saskatchewan?,” the editorial asked. Saskatchewan’s Liberal Minister of Natural Resources, William Franklin Kerr, called Social Credit a disease and claimed that if its candidates were elected those MLAs would represent the Premier of Alberta in the Saskatchewan Legislature. 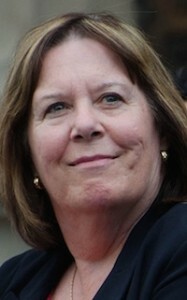 On the eve of the election, Mr. Aberhart is reported to have spoken to a rally of 5,000 people in the Town of Melville. The rally was policed by party activists, wearing official Social Credit armbands, who tossed out protesters from the event. It is unclear if the armbands were accompanied by official party uniforms. This was 1938 after all. “Mr. Aberhart and his government are a peril to the people of Alberta. Not only is he a threat to Alberta, but his actions coming into Saskatchewan and disrupting the affairs of neighbouring province has been a menace to Canadian unity,” J.T. Shaw told The Leader-Post in June 1938. Mr. Shaw was a Knight of Columbus who traveled from Calgary to campaign against the spread of the Social Credit menace in Saskatchewan. Mr. Aberhart earned his nickname, “Bible Bill” from his weekly Christian radio sermons broadcast from the Calgary Prophetic Bible Institute in downtown Calgary. Despite his best efforts, Mr. Aberhart’s Social Credit invasion of Saskatchewan was repelled. 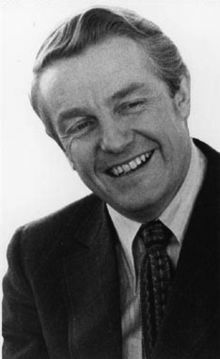 The Liberal Party led by Premier William Patterson was re-elected with a reduced majority of 38 seats and the Co-operative Commonwealth Federation formed official opposition with 10 seats. The Social Credit Party earned only 15.9 percent of the vote and elected two MLAs. 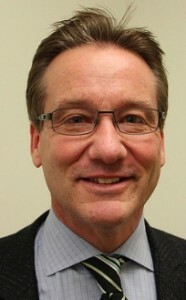 “The Alberta-run Social Credit election effort in Saskatchewan provided only two Social Credit seats in a fifty-five-seat house… The Social Credit revolution had been stopped at the Alberta-Saskatchewan border,” wrote historian Alvin Finkel in his 1989 book The Social Credit Phenomenon. This entry was posted in Alberta Politics and tagged 1938 Saskatchewan Election, Alberta History, Alvin Finkel, Battle of Jericho, Brad Wall, Ernest Manning, Greenshirts, J.T. Shaw, John Hugill, Joseph Needham, Kerrobert League for Democracy, Major C.H. 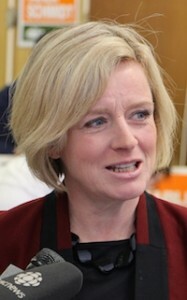 Douglas, Rachel Notley, Social Credit Invasion of Saskatchewan, Social Credit Theory, The Social Credit Phenomenon, William Aberhart, William Franklin Kerr, William Patterson on November 1, 2016 by Dave Cournoyer. Keystone XL is dead. New government means climate change back on the agenda. Having enjoyed the last week in the sunny Berkeley, California, it felt odd to turn on the car radio to hear the local disc jockeys discussing the tarsands and the merits of a pipeline that would pump unrefined bitumen from Canada to Texas. 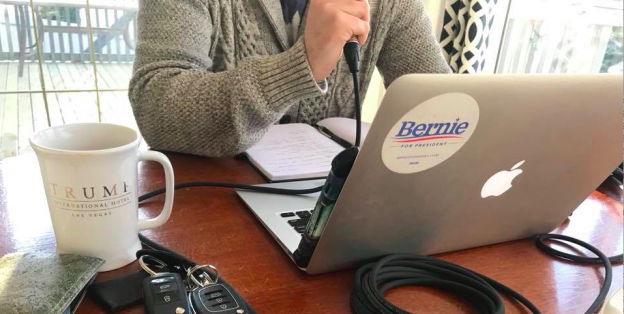 Being one of the most liberal areas in the U.S. – there were more than a few cars sporting “Bernie Sanders 2016″ bumper stickers – the discussion revolved around climate change and the environmental impact of the tarsands. 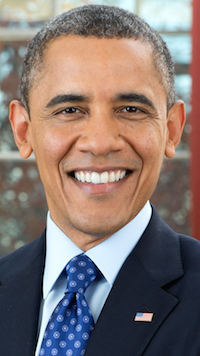 So, to the shock of no one who was paying attention, American President Barack Obama rejected the TransCanada corporation’s application for the cross-border permit needed to link the Keystone XL pipeline across the Canada-United States border. It had become clear over the past few years that the project was unlikely to be approved by the American President. While counter-messages from the oil industry and environmental groups set the tone internationally, opposition to the pipeline by a handful of rural landowners in Nebraska is what ended up tying the pipeline project in the courts. While the rejection of Keystone XL represents a victory for the projects opponents, it also represents a failure of Canadian foreign policy. For the past decade, the federal and provincial governments have been subsidizing TransCanada by spending significant amount of time and resources providing public funding for the pipeline through lobbying activities. Elected officials like former Premier Alison Redford and her cabinet ministers were essentially publicly-funded lobbyists as they travelled to the U.S. dozens of times to advocate for Keystone XL and other oil industry projects. The decision by Jim Prentice to appoint well-connected Member of Parliament Rob Merrifield to the post of Alberta’s representative in Washington D.C. was supposed to give a boost to the government’s pipeline lobbying goals (he was later dismissed by Premier Rachel Notley). And the government led by Saskatchewan Premier Brad Wall was reported to have paid at least $3 million to lobbyists in Washington D.C. The Conservative government of Stephen Harper, which was rejected by Canadians on Oct. 19, had arguably been the most pro-oil industry administration we have seen in decades. But instead of trying to build a national consensus in favour of projects like Keystone XL, the Conservative government demonized opposition to the pipelines in Canada. Opponents of Bill C-51 claimed that new spy laws passed by the former Conservative government with support from the Liberals could target Canadian citizens who oppose the expansion of oil pipelines. 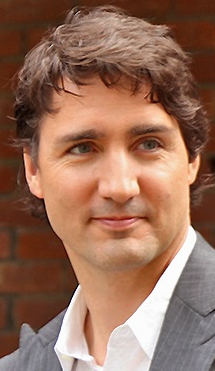 Prime Minister Justin Trudeau declared his support for TransCanada’s Keystone XL pipeline in a speech to the Calgary Petroleum Club in October 2013 while also criticizing the Conservative government’s approach to lobbying for the pipeline in Washington D.C. “They have poked and prodded, annoyed and irritated the Obama administration at every turn. Largely, I suspect, because they don’t know how to work with people who don’t share their ideology,” Mr. Trudeau told Calgary’s oil elite. While Mr. Trudeau has not publicly supported TransCanada’s other major pipeline project, the Energy East pipeline, new Natural Resources Minister Jim Carr faces a challenging task of managing the interprovincial politics of pipelines. An Energy East pipeline that would would pump oil from Alberta to port terminals in New Brunswick or Quebec, keeping jobs in Canada, was endorsed by Ms. Notley and New Brunswick Premier Brian Gallant last month. 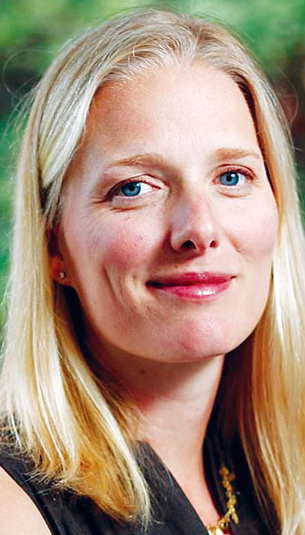 The appointment of Ottawa MP Catherine McKenna as Minister of Environment and Climate Change, and former environment minister Stephane Dion as Minister of Foreign Affairs signals that the new federal government may not be as singularly focused on pipelines as the previous government. Mr. Dion is well versed in environmental policy after serving as environment minister from 2004 to 2006 and spearheading the Green Shift policy while leading the Liberal opposition in the 2008 election. One of the new federal government’s first major tasks will be to bring its ideas to address climate change to COP21, the 2015 United Nations Climate Change Conference, being held Nov. 30 to Dec. 11 in Paris, France. 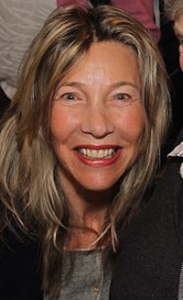 Ms. McKenna will be advised by a strong Alberta voice in these matters, with former Pembina Institute executive director Marlo Reynolds, a Canmore, Alberta resident, as her chief of staff. Ms. Notley and Alberta Environment Minister Shannon Phillips will also be attending the conference in Paris. This entry was posted in Alberta Politics and tagged Alison Redford, Barack Obama, Bernie Sanders, Brad Wall, Brian Gallant, Calgary Petroleum Club, Catherine McKenna, COP21 Climate Change Conference, Jim Prentice, Justin Trudeau, Marlo Raynolds, Nebraska, Oil Sands Alberta, Pembina Institute, Rachel Notley, Rob Merrifield, Shannon Phillips, Stephane Dion, Stephen Harper, Tar Sands Alberta, TransCanada Energy East Pipeline, TransCanada Keystone XL Pipeline, University of California Berkeley on November 7, 2015 by Dave Cournoyer. This week’s Council of the Federation meeting in St. John’s, Newfoundland marked Alberta Premier Rachel Notley’s first appearance on the national stage since the NDP won a stunning victory in the May 5, 2015 provincial election. 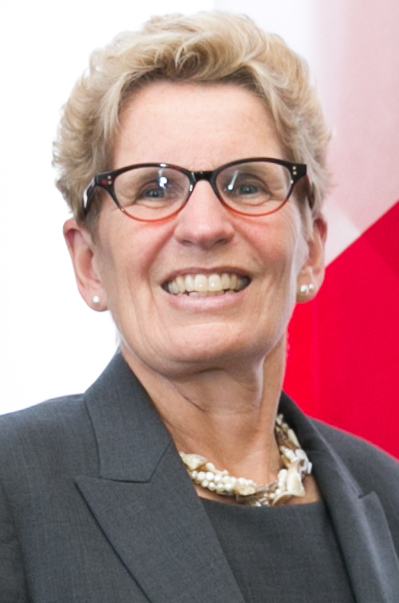 The new premier used the meeting to strike a more collaborative tone than her Conservative predecessors, who sometimes appeared more interested in chest-thumping than negotiating with their counterparts from other provinces. Taking a different approach raised the ire of one of Ms. Notley’s staunchest conservative critics, Saskatchewan Premier Brad Wall. Mr. Wall lashed out against Ms. Notley for her willingness to negotiate with Quebec Premier Philippe Couillard over the TransCanada corporation’s Energy East pipeline. Three weeks ago, Mr. Couillard told reporters that he saw little economic value for his province from the Energy East pipeline. He was not alone in this opinion. Two-thirds of Quebecois are opposed to that pipeline, according to one poll released in late 2014. This opposition is likely the reason why Mr. Couillard laid out some potential conditions related to climate change and environmental issues in exchange for his support of the pipeline going through his province. Mr. Couillard may have opposed the pipeline without a compromise and may still oppose it, but Ms. Notley has succeeded in keeping the dialogue open. Like every other premier sitting around the table at this week’s meeting, Ms. Notley, Mr. Couillard and Mr. Wall have their own political agendas in mind. While conservatives have fallen over themselves praising Mr. Wall as a voice for Canada’s oil industry, we should not believe for a moment that he has Alberta’s best interests in mind. In the days after Albertans elected Ms. Notley’s government on May 5, Mr. Wall and his ministers were inviting the oil industry to abandon Alberta and move east to Saskatchewan. If you believe Mr. Wall that compromise on national issues is not acceptable, remember that he has asked the rest of Canada for concessions in the past, most recently when Saskatchewan agreed to sign on to the National Securities Regulator in 2014. The premiers signed on to a Canadian Energy Strategy, which could be an important first step in national cooperation but does not approve pipelines or targets to reduce carbon emissions. As long as Prime Minister Stephen Harper and the federal Conservative government refuse to participate in these meetings, there is only so much that can be achieved. What is clear is that previous strategies used by Alberta premiers to promote expansion of pipelines from Alberta’s oilsands has fallen flat. And with this week’s major oil pipeline leak in northern Alberta, critics and opponents of pipeline expansion to change their minds without assurances of stricter environmental regulations. Compromise and negotiation should be part of politics in any democratic country. On any controversial projects, like cross-Canada pipeline expansion, it should be expected that local political realities in provinces and First Nations will slow, or block, attempts to force through industrial projects. Alberta’s poor environmental record has helped fuel opposition to the oilsands and the proposed pipelines that would carry our natural resources to ports in all directions. Our province’s status as a national laggard on environmental issues is a big reason Ms. Notley and Environment Minister Shannon Phillips announced last month that University of Alberta economist Andrew Leach would lead a panel to recommend a new climate change plan for Alberta. With a new government, Alberta has an opportunity to show our critics, through collaboration, negotiation and action, that strong leadership on economic and environmental issues are not mutually exclusive. That would be a refreshing change. This entry was posted in Alberta Politics and tagged Andrew Leach, Brad Wall, Canadian Energy Strategy, National Securities Regulator, Philippe Couillard, Rachel Notley, Shannon Phillips, Stephen Harper, TransCanada Energy East Pipeline on July 18, 2015 by Dave Cournoyer. The New Democratic Party of Canada, the official opposition since 2011, are staunchly in favour of entirely abolishing the Senate of Canada. “Unelected party hacks have no place writing or rewriting the laws of this country. 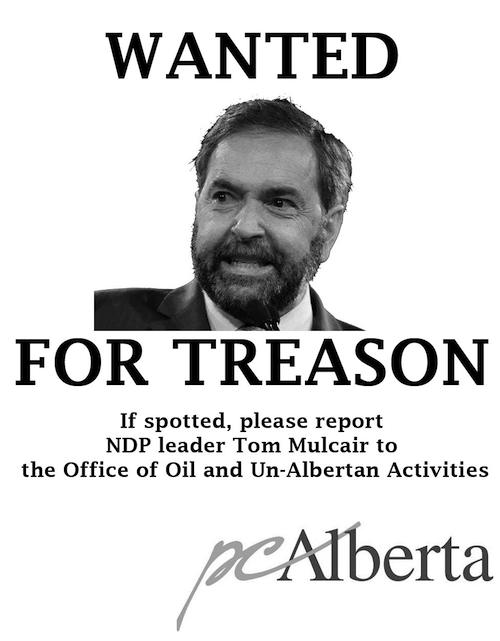 It’s as simple as that,” NDP leader Thomas Mulcair told reporters in August 2013. 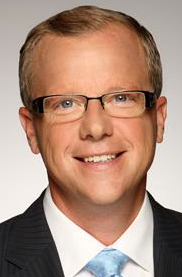 Saskatchewan’s conservative premier Brad Wall is also in favour of abolishing the Senate. It is unclear how the NDP would actually implement the abolition of the Senate if the party ever formed government in Ottawa. Elected, equal and effective was the Triple-E proposal supported by the now-defunct Reform Party of Canada. Alberta is the only province to have ever held Senate nominee elections (in 1989, 1998, 2004 and 2012). 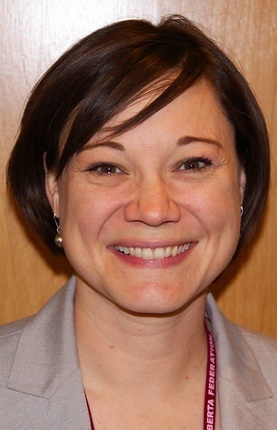 Typically coinciding with provincial or municipal elections, the Senate elections are a sideshow that have received little attention from the media or the general public. The Senate nominee candidates have run as provincial party candidates. Five elected nominees have been appointed to the Senate by prime ministers since 1990. 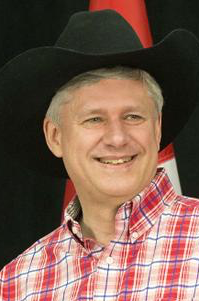 Prime Minister Stephen Harper‘s Conservative Party of Canada proposed legislation that could shorten terms in office and move towards provincially elected senators in 2006. The legislation was stalled and the Conservative have since asked the Supreme Court of Canada for its opinion on the Senate reform proposals. Liberal Party of Canada leader Justin Trudeau announced this week that he had removed all 32 Liberal senators from the party’s national caucus. The justification for doing so was to make the Senate less partisan and to eliminate patronage. Mr. Trudeau suggested that a non-partisan panel select new appointees to the Senate. 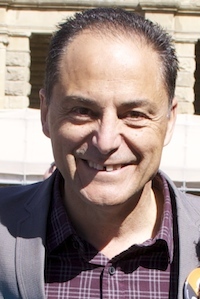 The Green Party of Canada passed a motion at their 2010 convention which supports the election of senators through a system that ensures proportional representation. While the policy is not specific, it could be referring to the electoral system used to elected members to the Australian Senate. In practice, the Governor General makes appointments to the Senate at the recommendation of the Prime Minister. 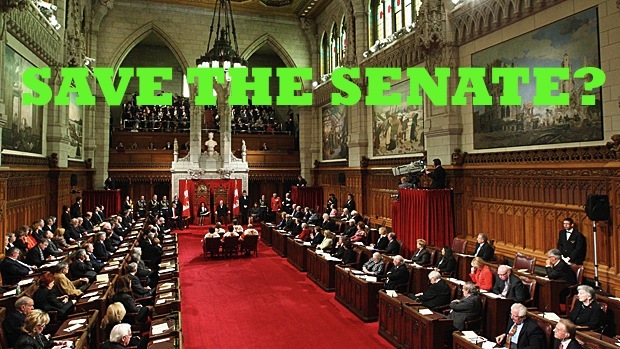 Senators must be citizens of Canada and at least thirty years of age to be eligible for appointment to the Senate. They must maintain residency in the provinces or territories for which they are appointed and can only serve until the age of seventy-five. While prominent Canadians have been appointed to the Senate, they overshadowed by the long-list of party loyalists who have been rewarded with appointments by various Conservative and Liberal prime ministers. Mr. Harper has appointed 51 of the 96 current senators since the Conservatives formed government in 2006 (there are currently 9 vacancies in the Senate). This entry was posted in Alberta Politics, Canadian Politics and tagged Abolishment, Australian Senate, Brad Wall, Justin Trudeau, Reform Party, Senate of Canada, Senate reform, Stephen Harper, Thomas Mulcair, Triple-E on January 31, 2014 by Dave Cournoyer. 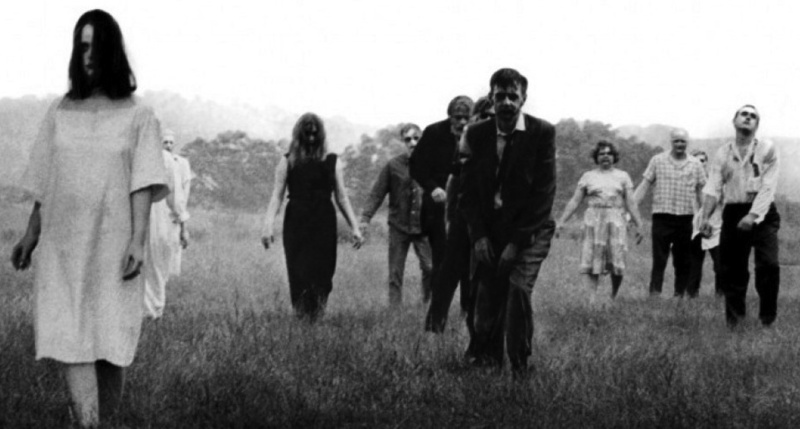 Howling “RREEEEFFFOOOORRRRMMMM,” the ghosts of the Reform Party stumble towards the Conservative Party Convention in Calgary (Yes, this is a photo of zombies, but ghosts don’t stumble). The ghosts of Senate reform will haunt Prime Minister Stephen Harper as his party establishment gathers in Calgary on Halloween to discuss and debate party policy. After more than seven years in office, Mr. Harper’s Conservatives have accomplished little on the issue of reforming the Canadian Senate. Who would have thought that a Senate scandal involving Conservative appointees could potentially be one of the defining stories of Mr. Harper’s third-term as Prime Minister? Was Mr. Harper not the Prime Minister who vowed to reform Canada’s archaic upper house of Parliament? While the federal Conservatives had hoped to end this particular Senate scandal with the announcement of a new free trade agreement with the European Union and a consumer-first agenda, the wrath of Conservative Senators scorned has dominated the headlines. After being ejected from Conservative Party ranks, Senators Mike Duffy, Pamela Wallin, and Patrick Brazeau, all appointed by Mr. Harper, have proven to be incredibly dangerous liabilities. Accused of improper spending and expenses, the three former Conservatives have turned on their former party and are drawing national attention to alleged improper activities of Mr. Harper’s former chief of staff, Nigel Wright. 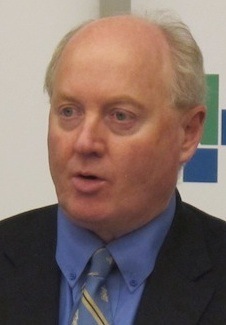 Senate reform was a defining policy for the now defunct Reform Party of Canada and a historical grievance that many western Conservatives hoped would finally be resolved when the Canadian Alliance (the Reform Party’s rebranded name) merged with the Progressive Conservative Party of Canada in 2003. While the crusade for a Triple-E Senate (equal, elected and effective) helped propel the Reform Party onto the national stage in the early 1990s, there does not appear to be much political appetite for this type of reform among Canada’s political leaders. Since becoming Prime Minister in 2006, Mr. Harper has appointed at least 52 of the Senate’s 106 members, including many failed Conservative party candidates or close associates of the Prime Minister. 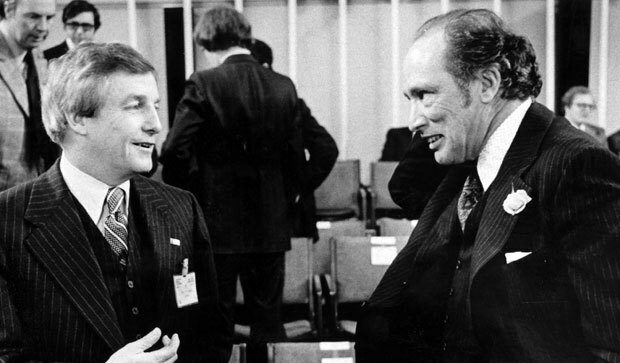 Despite his claims that he would approach the Senate differently, Mr. Harper has proven by his actions that he is not much different than Prime Ministers Pierre Trudeau, Brian Mulroney, Jean Chretien, or Paul Martin. In Alberta, the only province to have held elections for Senate nominees, the votes have attracted low levels of attention and there is no indication that the upper chamber is more effective with the three current elected nominees that have been appointed. Popular Saskatchewan Premier Brad Wall, seen by many as a potential successor to Mr. Harper, announced today that his government will revoke its support for Senate nominee election in favour of supporting abolishment of the Senate. This positions Mr. Wall alongside Official Opposition NDP leader Thomas Mulcair, who has embraced NDP’s long-standing position that the Senate should be abolished. The Reform Party’s first leader, Preston Manning, in his role as the godfather of Canada’s conservatives, will today be hosting an all-day Manning Foundation symposium on the future of the Senate. 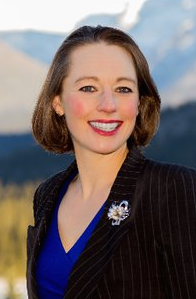 Speakers will include Member of Parliament Pierre Poilievre, former Alberta MLA Ted Morton, retired Liberal Senator Dan Hays, Calgary School chieftains Tom Flanagan and Rainer Knopff, and former Senator-nominee turned Wildrose Party candidate Link Byfield. This and other Manning Foundation events will coincide with official Conservative Party events in Calgary this weekend. Meanwhile, in southern Alberta, provincial New Democrats will gather this weekend for their annual convention in Lethbridge. Delegates will hear from NDP strategist Anne McGrath and Robyn Benson, president of the Public Service Alliance of Canada. At the annual meeting, NDP leader Brian Mason will not face a leadership review, but his party activists will debate some changes to party operations. One topic of debate will be whether the party holds annual conventions or moves to biennial conventions. Party members are also expected to debate whether the Labour movement should have two vice-presidents represented on the party’s executive council. 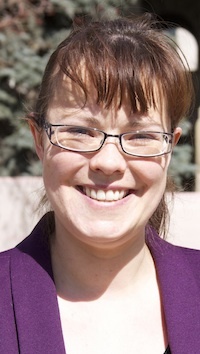 Most of the province outside of Edmonton is bleak for the social democratic party, but Lethbridge has provided a glimmer of hope that the NDP plan to build on. In the 2011 federal election, the NDP saw their support double to 27% and in the 2012 provincial election, Lethbridge-West candidate Shannon Phillips placed a strong second in a three-way race won by PC MLA Greg Weadick. This entry was posted in Alberta Politics and tagged Anne McGrath, Brad Wall, Brian Mason, Brian Mulroney, Dan Hays, Greg Weadick, Jean Chretien, Link Byfield, Mike Duffy, Pamela Wallin, Patrick Brazeau, Paul Martin, Pierre Poilievre, Pierre Trudeau, Preston Manning, Ranier Knopff, Robyn Benson, Shannon Phillips, Stephen Harper, Ted Morton, Thomas Mulcair, Tom Flanagan on October 31, 2013 by Dave Cournoyer. Do you drain a Lake of Fire or do you dam it? Whatever it takes, Wildrose Party activists are expected to moderate the tone of their policies at their weekend policy convention in the booming central Alberta city of Red Deer. A delicate and sometimes shaky coalition of libertarians and social conservatives (among other groups), Alberta’s official opposition party will learn from the mistakes they made in the 2012 election. 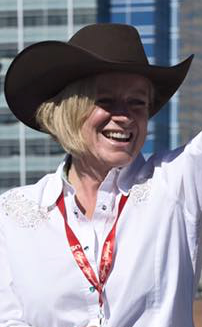 On the cusp of victory, offensive remarks made by social conservative candidates in Calgary and Edmonton scared many moderate Albertans to support the long-governing Progressive Conservatives at the ballot box. Since forming the official opposition with 17 MLAs, Ms. Smith has led a disciplined front-bench that has in many cases driven the government’s agenda, or at the least frustrated government ministers unaccustomed to their aggressive style. 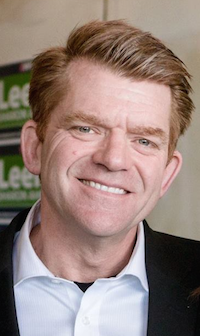 Implementing tactics used by the Ottawa Conservatives, the Wildrose have been relentless in their opposition to the forty-two year old governing PC Party. 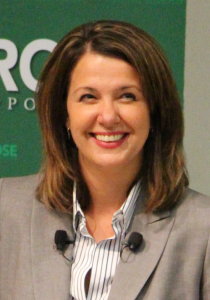 Fighting back against the Wildrose, or at least trying to, Tory environment minister Diana McQueen emerged from her legislature office yesterday to attack Wildrose leader Danielle Smith’s position on climate change. While Ms. Smith’s party is undoubtably weak on environmental issues, especially on the important climate change file, the Tory government’s environmental record is not much better. While the Alberta government is doing more on this file than it has in a decade, its plan appears to be propped up by snippets of truth and focus group tested sound bites. 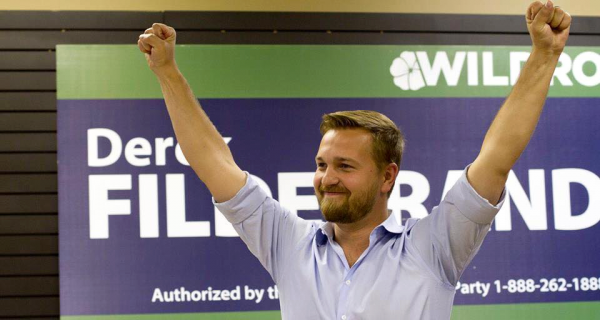 The Wildrose are looking for second chances and there is opportunity for them. 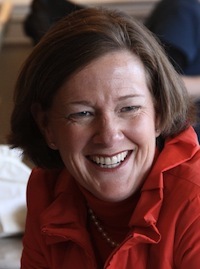 With drastic cuts to education and post-secondary education, constant political meddling in the health care system and fears that public sector pension changes may negatively impact the retirement prospects of hundreds of thousands of Albertans, Alison Redford’s Tories threaten to alienate the electoral coalition of moderate voters (including many former Liberal voters) who helped them narrowly win re-election. 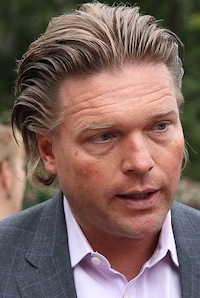 Shooting from their hips (and frequently missing their targets), cabinet ministers Thomas Lukaszuk, Jeff Johnson, Fred Horne, and Doug Griffiths often confuse their own confidence with arrogance. The Tories do not give any impression that they were humbled by their near-defeat in last year’s election. Some Tories may point to the electoral success of Premier Ralph Klein following his drastic budget cuts in the early 1990s, but this is a very different political environment, and I am sure that most Albertans would agree that Ms. Redford is no Mr. Klein. A recent poll from Leger Marketing, for what it’s worth three years before the next election, shows Ms. Redford’s and Ms. Smith’s parties competing with mid-30 percent range support. The poll also shows that more than half of Albertans disagree with the government’s performance, but the Wildrose’s support in the polls suggests voters have not settled on an alternative. This weekend and over the next three years, the Wildrose Party could look to Saskatchewan for inspiration. Stalled for years in the opposition benches, the conservative Saskatchewan Party undertook a move to modernize its image and policies when Brad Wall became the party leader in 2004. The unruly coalition of Tories and Liberals led by a former Reform Party MP had been unable to defeat the institutionalized New Democrats, who dominated in that province’s major cities. Under the smart and savvy Mr. Wall, the Sask Party modernized, and slowly began to encroach into NDP held urban constituencies. After his party finally defeated in NDP in 2007, the conservative Mr. Wall has become one of Canada’s most popular provincial leaders. Like the NDP did to the Sask Party, and the Tories did to the Wildrose in 2012, Albertans can expect to be berated by rounds of “ooga booga, the Wildrose is scary” ads in the next election. The part that will be missing from those ads is that many, if not most, current Wildrose supporters were sitting comfortably in the Tory camp until about three years ago. 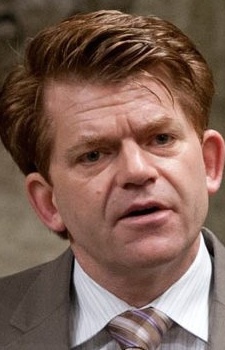 Wildrose success is not entirely about policy. Planting the seeds of doubt in Ms. Redford’s ability to run an honest government will also be key to the Wildrose Party’s success in the next election. Ms. Redford’s tendency to avoid controversy by hiding the truth or bending the facts is something that many political watchers have noted. Her office’s decision to block requests to release details of more than $2 million in severance packages given to former premier’s office staffers planted one seed of doubt. Her actions, her words, and people she surrounds herself have planted others. Two bad seeds that might not go away, controversial former PC MLAs Mike Allen and Peter Sandhu, are expected to apply for re-entry into the Government Caucus. And the Wildrose do not just need Tory voters to vote for them, they also need former New Democrat and Liberal voters to return to their prior allegiances (a key reason behind Ms. Smith’s province-wide debate tour with NDP leader Brian Mason). So, it’s clear the Wildrose needs to moderate the tone of their policies to attract new voters, but they can also benefit greatly from the seeds of doubt that the Redford Tories appear to be planting each week. 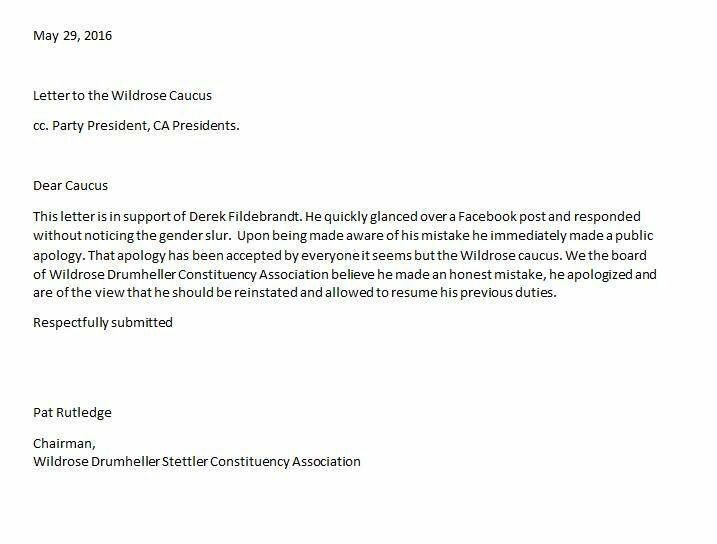 This entry was posted in Alberta Politics and tagged Alison Redford, Brad Wall, Brian Mason, Danielle Smith, Diana McQueen, Doug Griffiths, Fred Horne, Jeff Johnson, Mike Allen, Peter Sandhu, Ralph Klein, Thomas Lukaszuk on October 25, 2013 by Dave Cournoyer.